In practice neither the state nor the market has been uniformly successful in solving common access resource problems. 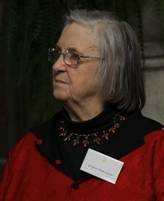 Indeed, Hardin's Common's Theory has been criticised by a number of economists, not least by Elinor Ostrom the political economist and the 2009 Nobel Memorial Prize winner in Economic Sciences. Together with colleague Oliver E. Williams, Ostrom's analysed economic governance, especially those related to common access resources or 'the commons'. Ostrom simulated conflicts concerning the allocation of the commons and derived a complex theoretical framework that went beyond the simple analysis of private costs and benefits. She focused on additional variables, such as community, leadership, trust and collaboration in resource sustainability and claimed it is not necessary to have a 'top-down' management system regulated by the state. Ostrom's extensive research includes analysis of complex fishing systems in Nova Scotia, irrigation systems in the Philippines and Sri Lanka and groundwater usage in California. Her research results suggest that sustainability is possible if the users of resources collaborate to create democratically agreed, and adaptable, rules for the exploitation of common access resources, with community sanctions if these rules are broken. She argues that local communities make better decision about the use of community resources than governments or private organisations, because they have access to more information about the local context and are directly affected. Her conclusions are supported by empirical data showing that local-level monitoring of resources and community self-determination is effective in ensuring resource sustainability. Other critics of Hardin's 'Tragedy of the Commons' analysis, focus on his proposal to transfer common goods into the hands of private owners. Professor Heller of the Columbia Law School, for example, coined the term 'Tragedy of the Anticommons' to describe a situation in which rational individuals, acting separately, collectively waste a common resource by under-utilising it. Heller believes that the existence of numerous private rights holders may frustrate the achievement of socially desirable outcomes. Supporters of this theory claim that too many property rights, such as patents, leads to reduced innovation. Competing patents in biomedical research illustrates a situation where useful and affordable products are prevented from reaching the market and adding to social welfare.